Gabapentin is a medication originally developed for the treatment of epilepsy. Presently, gabapentin is widely used to relieve pain, especially neuropathic pain. 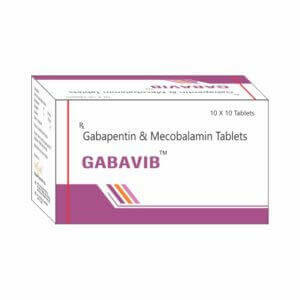 Gabapentin is well tolerated in most patients, has a relatively mild side-effect profile, and passes through the body unmetabolized. Methylcobalamin is a cobalamin, a form of vitamin B₁₂. It differs from cyanocobalamin in that the cyano at the cobalt is replaced with a methyl group. Symptoms of overdose include ataxia, labored breathing, ptosis, sedation, hypoactivity, and excitation. For the management of postherpetic neuralgia in adults and as adjunctive therapy in the treatment of partial seizures with and without secondary generalization in patients over 12 years of age with epilepsy.